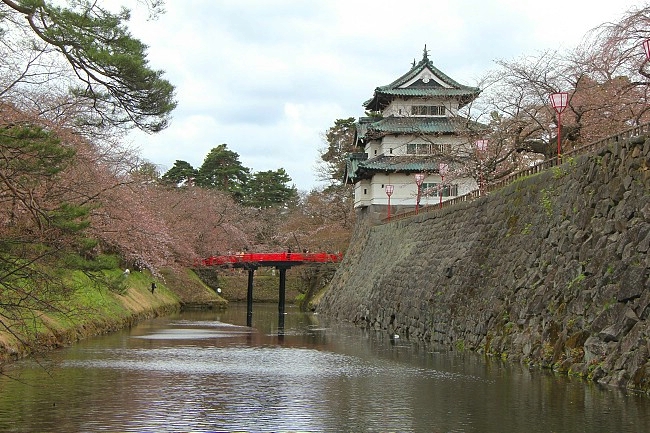 Today I visited Hirosaki in Aomori Prefecture, home of Hirosaki Castle and its park - one of the best cherry blossom spots in all of Japan. 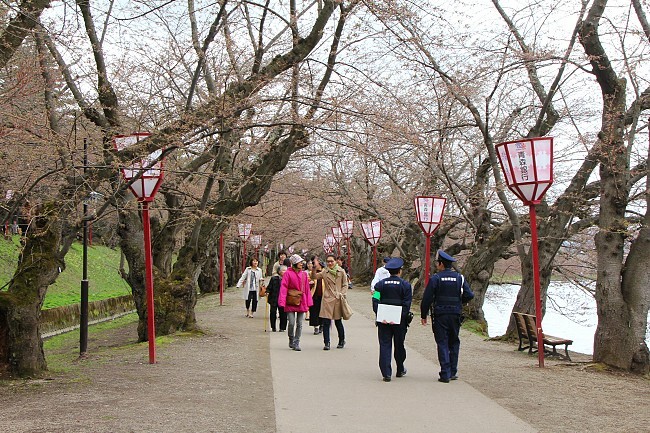 About 2600 cherry trees stand at the spacious park grounds, combining with the castle's structures and moats to provide many vantage points with brilliant cherry blossom views. 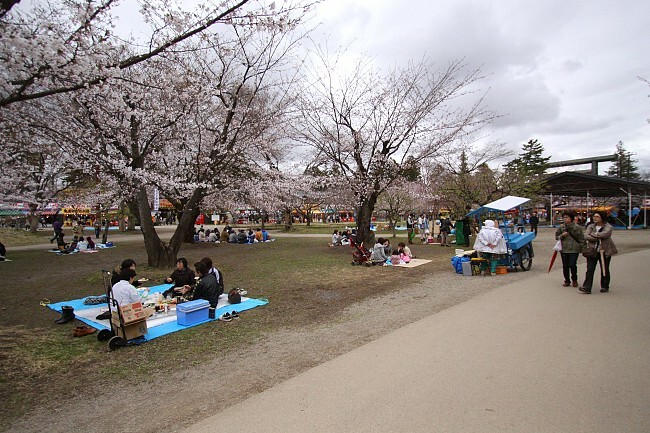 Wide lawns provide excellent locations for hanami (cherry blossom watching) parties here. 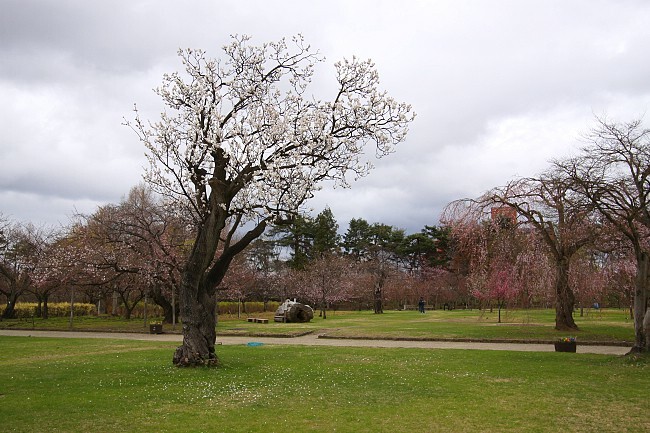 The park also boasts both Japan's oldest Somei Yoshino cherry tree and the one with the thickest trunk. Perhaps nowhere else in the nation is there such a large selection of festival stalls as found at the northern sections of the castle's precincts. 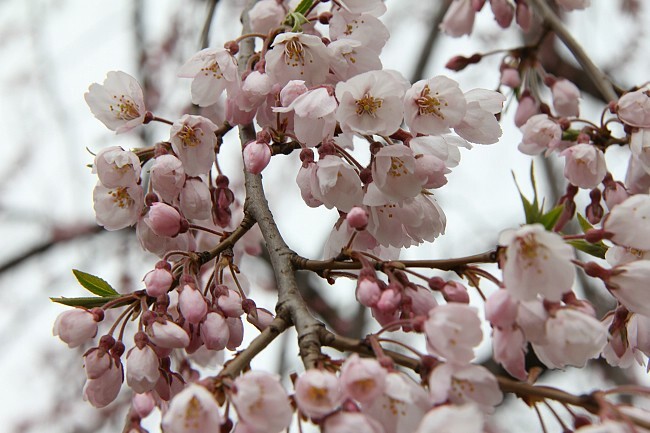 The first open sakura were observed in Hirosaki on April 28th this year, five days later than the average year. Last year when I visited on April 30th, the trees were already approaching their peak: today when I visited all trees barring a handful hadn't passed the halfway mark yet. This is due to the chilly weather that has limited the flowers' progress this far. 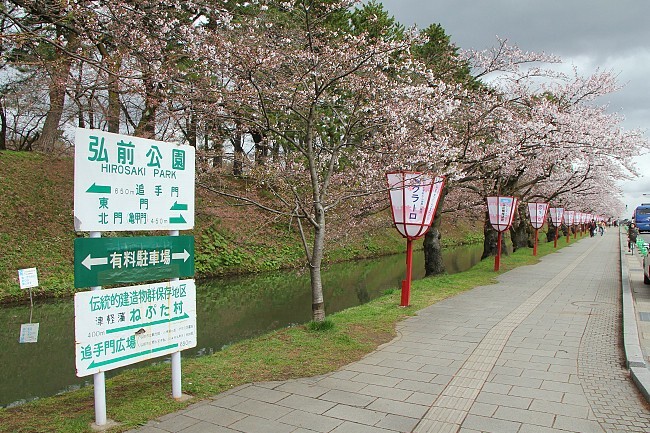 I started the day at Hirosaki Station, where I boarded a Dotemachi Bus to Hirosaki Castle's east entrance. Till May 6th, the bus operates at a special fare of 100 yen and makes direct trips between the station and the castle (10 minutes, departing every 10 minutes). A baggage deposit counter has been set up at the station exit (10:00 - 19:00, 500 yen per piece). 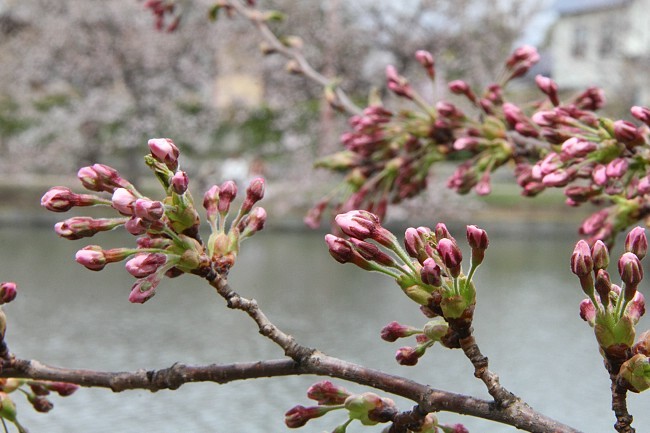 The cherry trees outside the east moat were at the most advanced stage among the trees at the park today. On the average they were about 30-40% in bloom. Park officials are predicting that full bloom will be reached here on Saturday, but judging by the not-so-warm temperatures forecast for the next two days, I am going for Sunday. Over at the west moat, I was a little surprised to spot only one row boat in use. I am sure more people will be renting the boats as views improve with fuller cherry trees along the moat's banks over the next few days. 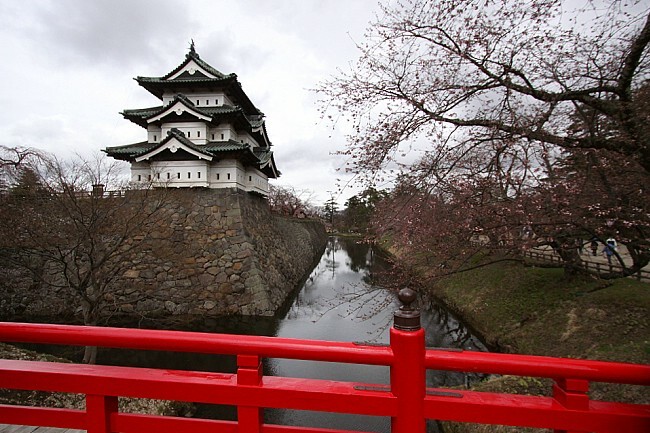 As of today, the trees on the outer side of the moat were at about the quarter mark, while the trees at the inner side (the Sakura Tunnel side) were only just about ready to start opening. 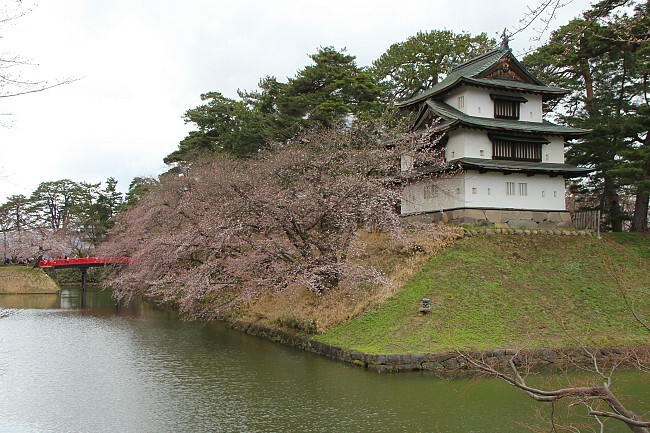 Arriving at the Honmaru (which some call the castle's main circle of defense); there was a weeping cherry tree which was already almost at full bloom. 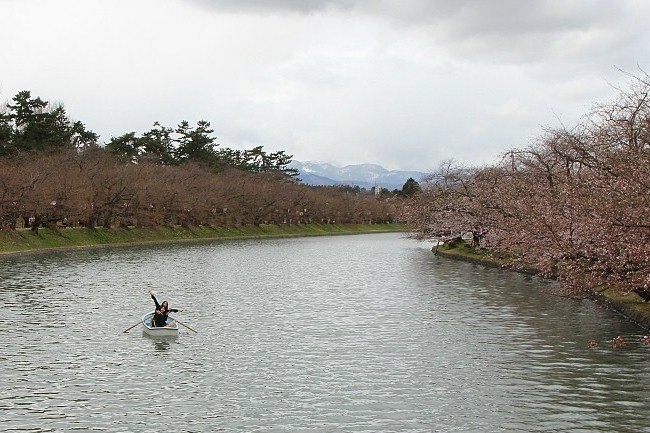 It was by far faster than most of the other weeping cherry trees, which were only approaching the halfway mark. 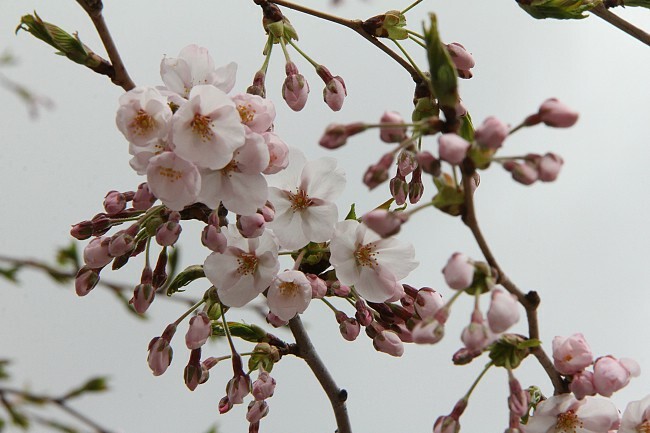 The mainstream somei yoshino cherries were about 20-30% in bloom, while the yaebeni weeping cherries were only just about to open. 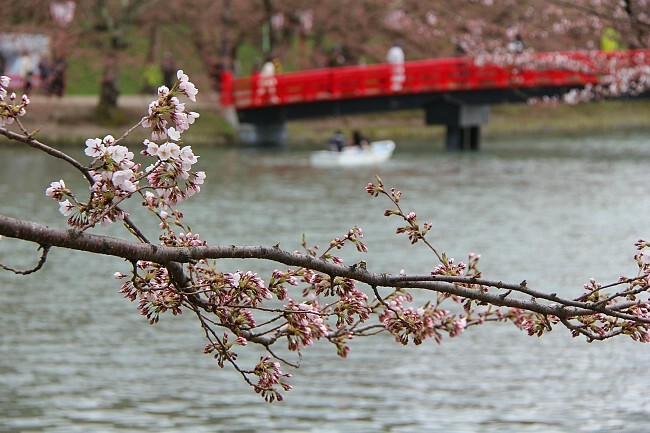 I think the best cherry blossom views at Honmaru will arrive around May 7th. 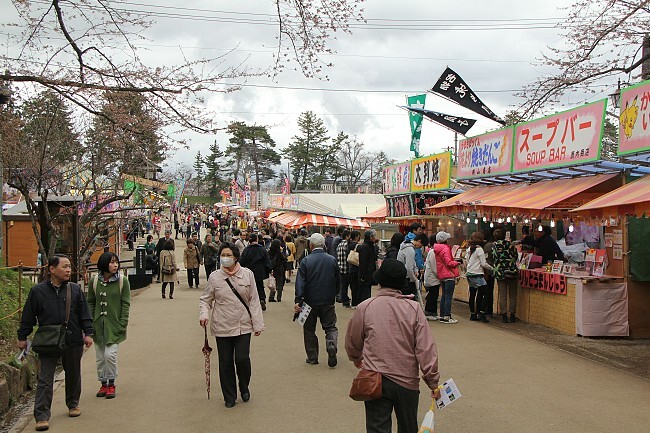 Around Yonnomaru (the castle's fourth circle of defense) is where the many festival stalls are situated every year. 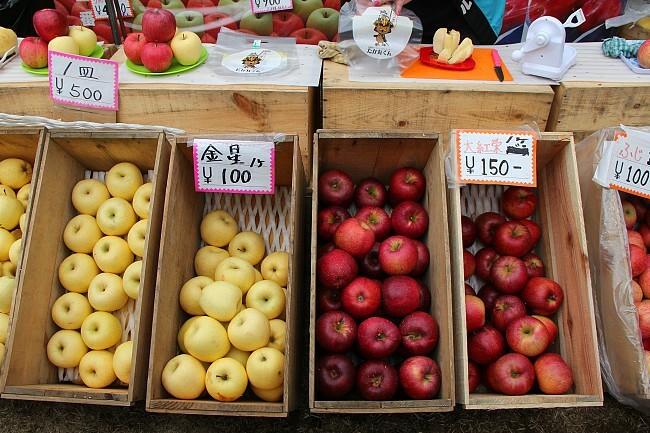 As a prelude to crowds expected to come during the Golden Week Holidays over the next four days, the area was already gleaming in festive spirits today as visitors poured in to patronize the stalls. Cherry blossoms here were similarly around the quarter mark. 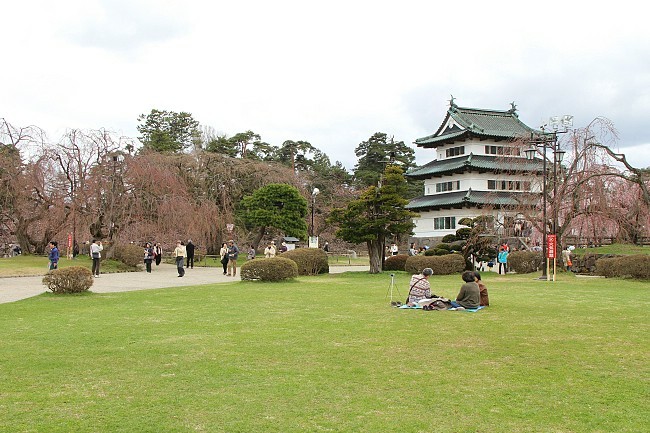 My last stop for the day was at the Hirosaki Castle Botanical Garden, where there were also plum blossoms in bloom. The several cherry trees at the botanical garden were just slightly less advanced than the average for the park as a whole. 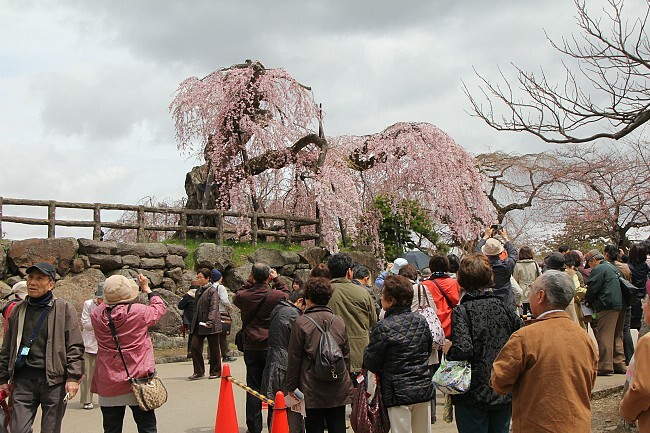 Based on observations today, the best viewing period for cherry blossoms at Hirosaki Castle would probably start around the later part of this year's Golden Week Holidays. 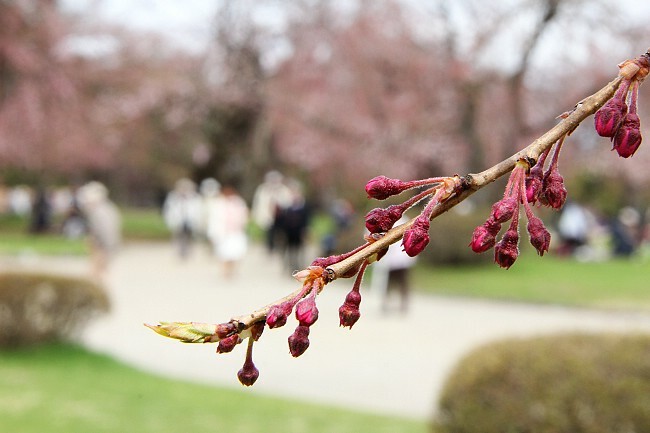 As the park offers slightly later blooming yaebeni weeping cherry trees and some other late blooming varieties such as the ukon, the sakura season should last till the following weekend at least.